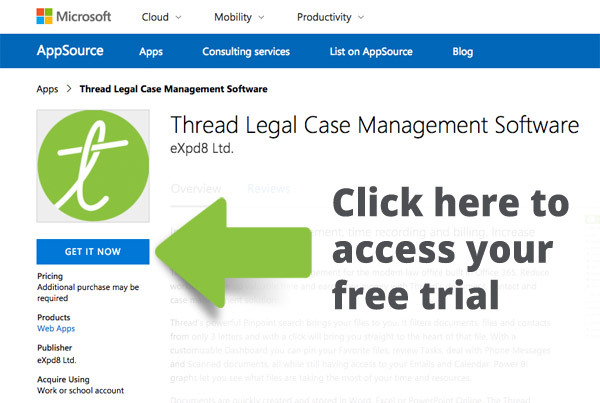 Create emails from within your case files in Thread, drafts stay linked for you to return to and complete. Emails sent from within a case file will stay on the file. If the correspondence gets too long you can select just the relevant emails to keep on the activity of the file. Thread even lets you import emails from your Outlook Inbox. 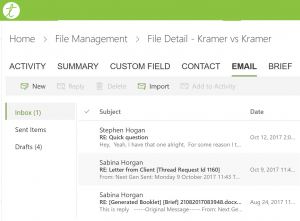 As new emails come in you will be notified, as you would in Outlook, and you’ll always see the inbox counter telling you how many new or unread emails you have.